Troy Nash is a well-known Hopi carver from First Mesa whose work is featured in many of the most prominent galleries in the Southwest. His work is also noted in the defibitive book Hopi Katsina-1,600 Artist Biographies by Dr. Gregory Schaaf. 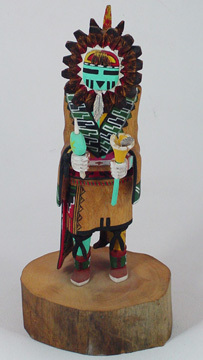 Troy is a member of the Tabacco clan at Hopi, from Keams Canyon, Arizona. 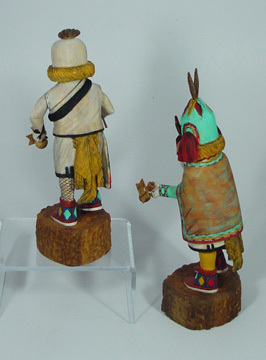 Troy is a member of the Tobacco clan and the Hopi. 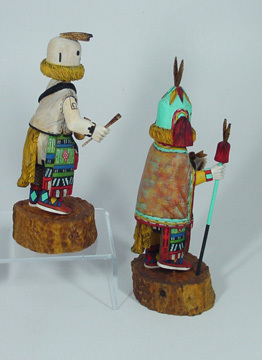 His work is traditionally hand carved with just a pocket knife and traditionally detailed. 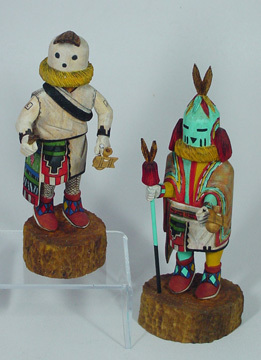 He is a self-taught carver who says his favorite part of making the Kachina is painting and seeing the doll come to life. 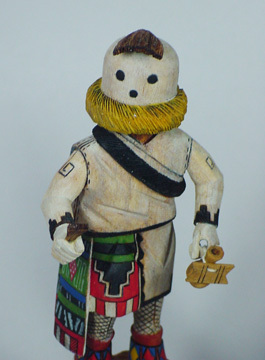 Kachina doll is carved by Hopi artist Troy Nash, Troy is from Keams Canyon, Arizona. 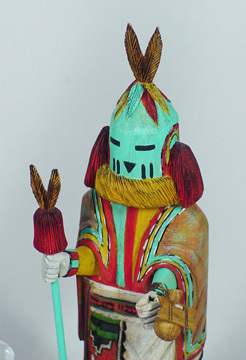 Troy is a member of the Tobacco clan and the Hopi tribe, he is a self taught carver who says his favorite part of making the Kachina is painting and seeing the doll come to life.